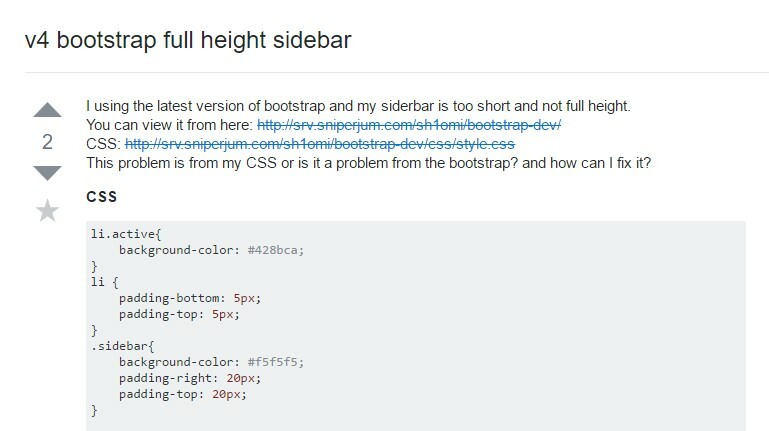 Throughout the most of the webpages we just see the content ranges from edge to edge in width with a practical navigation bar just above and simply easily becomes resized once the defined viewport is hit so that practically the showcased information fluently implements the full width of the webpage attainable. Even so at a specific occasions the wanted target the pages ought to work in require along with the fluently resizing material zone an additional part of the provided display width to get appointed to a still vertical feature with certain urls and information inside it-- in other words-- the famous from the past Bootstrap Sidebar component is wanted. 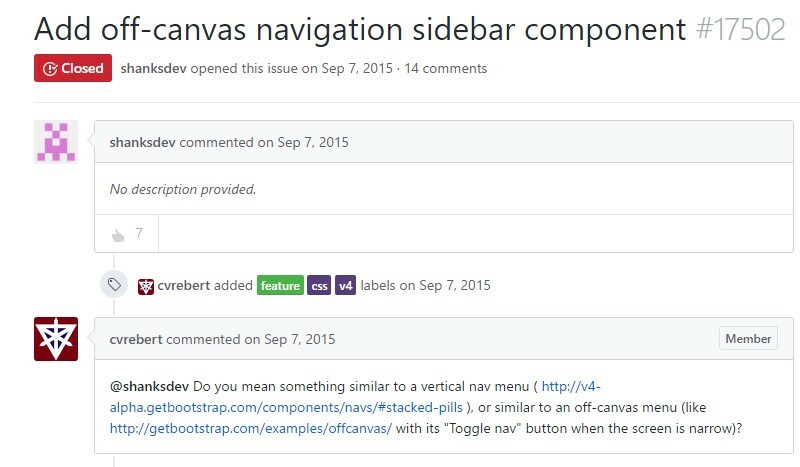 This is somewhat old-fashioned technique however if you certainly want to-- you can set up a sidebar feature with the Bootstrap 4 framework which in turn together with its own flexible grid system additionally provide a several classes designed especially for producing a secondary rank site navigation menus being docked along the page. But let us set up it easy-- with simply nesting some rows and columns -- It is presumed this might be the best solution. And by nesting I intend you can absolutely gave a .row element positioned inside a column one-- it basically behaves the identical approach besides the obtainable columns in a single line limit-- assuming that you nest a row within a column you can certainly have up to the column's width extending inner columns within it just before they wrap to a new line. 1st we need a container feature to keep the rows and columns and considering that we are definitely creating something a little bit more complicated the .container-fluid class might be the appropriate one to select it to-- this way it will regularly spread over the entire viewable width accessible. Next we demand a .row to cover the primary structure into which in our situation would be a wide column for the content and a smaller sized-- for the sidebar-- let's say we'll split up the width in 9 by 3 columns in width. Therefore the 1st column element should bring .col-md-9 and the 2nd one - .col-md-3 class utilized. Next within these particular columns we have the ability to just produce some excess .row components and pack them up up with some content making primarily the main page and after it-- the contents of the sidebar similar to two smaller sized webpages laid out side by side. 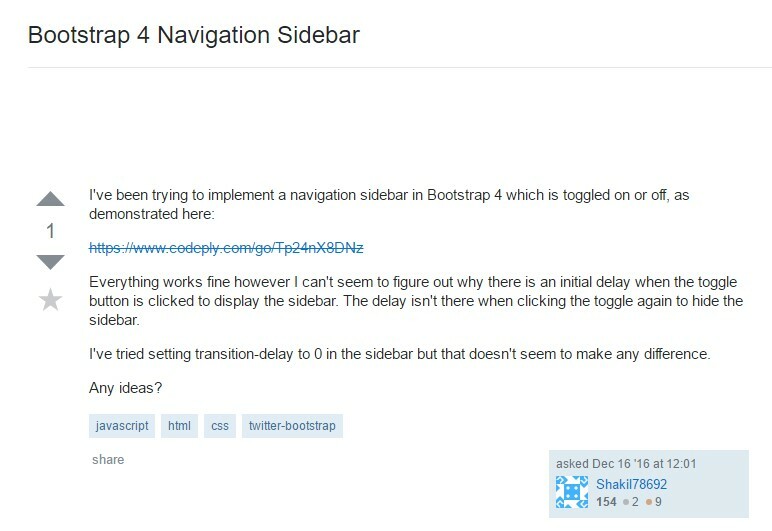 Aside from that in case you must develop a sidebar navigation menu together with the needed .col-* class you can delegate it the .sidebarclass and wrap the web page's major content into a <main> element utilising it the rest width with a .col-* class and appropriate offset identical to the sidebar's width to get the nicely feature side by side.